hyperlinks to Arbuthnot(t) related sites, with (sometimes) comments on their contents. A silver box indicates that the site may now be permanently down. (with apologies to the classicists) Genealogy.com . Genealogical reference General Register Office, Scotland . International Genealogical Index Church of Jesus Christ of Latter Day Saints. A phenomenal and useful site which is inevitably not invariably accurate. Hon Mrs William Arbuthnott Not "Lady" Arbuthnott as stated. An eccentric woman who brushed past the family extremely briefly. Catholic Encyclopaedia: Missal of Arbuthnott . P.S. Alexander Arbuthnot An Australian paddle steamer. Dr Arbuthnot's Factory of Complete Balls . Arbuthnot Dragon aka "Sir William Arbuthnot"
Prof G W Arbuthnott . Professor Sir John Arbuthnott . Boston University Mike Arbuthnot Table M ?? Arbuthnot Medal The Arbuthnot Naval Long distance rowing bronze medal was awarded to A B Endean in November 1923 and a silver one was awarded Mediterranean 1926. Arbuthnot Boxing Cup Instituted by the Navy after Sir Robert's death. (Isle of Man, Scotland, Salisbury) TT (Touring trophy) touring motorcycle racing cup in honour of 3rd man home, Capt (later Adm) Sir Robert Arbuthnot, 1908 on a Triumph - whose favourite Triumph sank at Jutland with the Admiral's ship. Instituted in his memory in the 1920s (designed by Lady Catherine Scott), essentially for the recreation of naval officers, it comprised two laps totalling 75 miles. The 1927 Arbuthnot Trophy Trial occurred over 6 days in Scotland. In 1928 it was held Salisbury area. It was revived for rigid frame pre-1965 machines in 1982 using largely the same route. It was held in Autumn 1983 in Salisbury. The 1984 Arbuthnot Trial, organised by the Salisbury MCC, was run in an area 9 miles from Salisbury Racecourse, with the crunch section being Misselfore, an expanse of chalky mud and an uphill sunken lane. Commercial - holidays Holidays in Scotland . Walking holiday in France & Spain Hugh & Jane's walking tours. Walking holiday in Spain . Gillanders, Arbuthnot & Co .
War graves Arbuthnots who died in the Wars . Legal reference Arbuthnot & Assocs (Illinois 1991) . Arbuthnott v Feltrim (C.A. 1993) . Arbuthnot Latham Bank Ltd v Trafalgar Hldgs Ltd (1998 1 WLR 1426) . 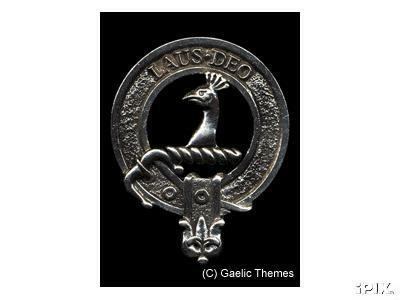 Gaelic themes They sell a pewter cap badge and a kilt pin. We haven't bought either so we can't comment. that is not already on this site. Roots Web Bitty but huge site. Misc sites Colour swatches . 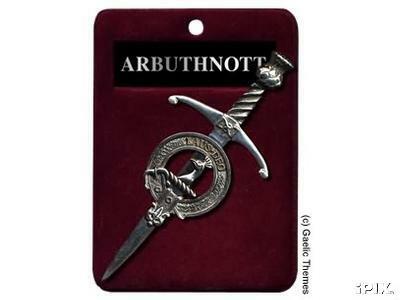 All contents of this site Copyright © 1997 - 2002 Arbuthnott Family Association. All rights reserved.